Newmarket’s Listed Feilden Stakes was won last year by subsequent Derby winner Golden Horn and there looked to be another useful winner of this year’s renewal when the Richard Hannon-trained Ventura Storm (3c Zoffany-Sarawati, by Haafhd) came out in front. This was a second European stakes winner already in 2016 for the sensational Zoffany and Ventura Storm, a dual winner last season, looks set to make his mark in Group company. “Ventura Storm is a lovely horse and Ryan Moore said he would get a mile and a quarter no problem,” said Hannon. “He liked this sort of ground and we may have a look at something like the G3 Tercentenary Stakes at Royal Ascot. 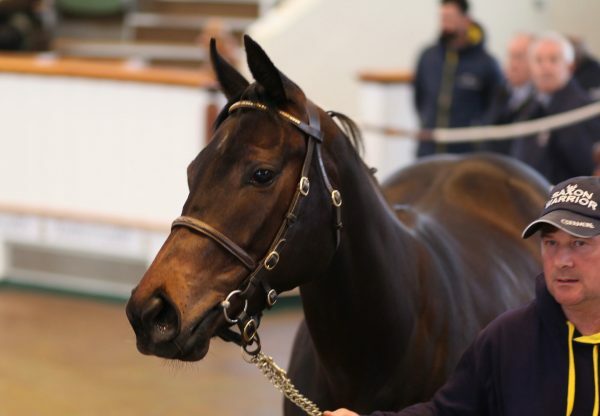 Mine have been needing the run but he´s got away with it and he´ll be better next time.” Ventura Storm, a 110,000gns Tattersalls breeze-up graduate bred by Laurence Kennedy, follows recent Dundalk Listed winner Washington DC (3c Zoffany-How´s She Cuttin´, by Shinko Forest) as another black-type scorer for Zoffany.